Transport workers are up to five times more likely to be injured at work than any other Australian worker, according to new Monash research, with rail drivers in particular 30 times more likely to develop a mental health condition than any other worker. These are just two of many significant findings unearthed in the first report of the National Transport Industry Health and Wellbeing Study, released today by the Insurance Work and Health Group at Monash University. The research, supported by Linfox Logistics and the Transport Workers Union, comes from the first stage of a detailed national study looking into the health of workers in the transport industry. 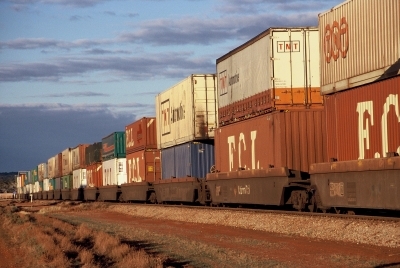 The Australian transport and logistic industry is very diverse, and encompasses drivers, logistics, storage and warehousing workers, managers and executives. Alex Collie, professor and director of the Insurance Work and Health Group, said transport workers were subject to a unique set of health risks in their working environment, including sedentary jobs, long working hours and shift work, isolation, fatigue and sleep deprivation, among others. “This study presents a national picture of the health of people working in the transport and logistics industry. Prior studies have focused on safety and on specific groups of workers. We used a large and detailed national database of work injury claims to examine a range of different injuries and diseases that affect workers across the whole industry,” Professor Collie said. There are strong links between people’s health and their ability to work, Professor Collie said, so understanding and improving the health of an industry which employs 1.2 million people is important for the workers, their employers and the Australian economy. The Transport Workers Union national assistant secretary Michael Kaine said the report’s findings show that the “pressures on transport workers, including long hours away from family, chronic fatigue and the stresses of meeting deadlines, are clearly taking their toll”. “It should serve as yet another example of the need for a check on the transport supply chain, to ensure that the major clients at the top are being held to account for the pressure they exert on the industry and its workforce,” he said. Linfox Logistics general manager of HR Lauren Pemberton said working with Monash and TWU to investigate driver health and safety was the “next logical step in improving our staff health programs”.